Roy E. Frankenhoff, 65, of Pontiac died at 10:21 a.m. Tuesday, Feb. 19, 2002, at OSF Saint James Hospital in Pontiac. Visitation will be from 4 to 7 p.m. Thursday, Feb. 21, at the Duffy Funeral Home, 202 E. Howard in Pontiac. The rosary will be recited at 4 p.m. The funeral service will be at 11 a.m. Friday at St. Mary’s Catholic Church in Pontiac, with Father Tom Holloway officiating. Burial will be in St. Mary’s Catholic Cemetery, Pontiac. 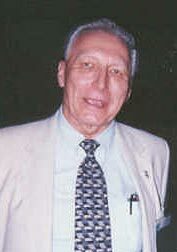 Frankenhoff was news director for WJEZ and WLDC for 17 years. Previously he was the news director at WPRC in Lincoln for a number of years. He served in the U.S. Army in Hawaii and Japan and did broadcasting. He was born April 21, 1936, in Quincy to Hurbert and Bertha Terford Frankenhoff. Surviving are three daughters, Toni (and Keith) Beattie of North Carolina, Tina Raber of Florida and Tami (and Charles) Powell of Bloomington; and seven grandchildren, Paul Frankenhoff, Michael Powell, Jason Powell, and William, Tyler, Haley and Danielle Beattie. He was a member of Radio Television News Directors Association and Illinois News Broadcasters Association. He was also a member of St. Mary’s Church in Pontiac and participated in the church choir. In Lincoln he had bowled with the WPRC team and was well known and liked by many in the area. He left in 1984. He attended Quincy High School and Iowa State University. Memorials may be made to St. Mary’s Catholic Church or to a charity of the donor’s choice. Joann Kathryn Renken, 68, of rural Mason City, died at 12:20 a.m. Tuesday, Feb. 19, 2002, at her home. Her funeral will be at 10:30 a.m. Friday, Feb. 22, at St. Luke’s Lutheran Church, rural San Jose, with the Rev. Marvin Lorenz officiating. Visitation will be from 9:30 to 10:30 a.m. at the church. Mrs. Renken was a homemaker. She was born May 9, 1933, in rural San Jose to Fred D. and Hazel Hindahl Handke. She married Raymond M. Renken on Jan. 30, 1955, at St. Luke’s Lutheran Church, San Jose. He survives. Also surviving are three sons, John (and wife Nancy) Renken of Mason City, Keven Renken (and Bill Myerholtz) of Tampa, Fla., and Tim (and Paula) Renken of Washington, Ill.; two daughters, Laurie (and husband Jack) Bishop of Lincoln and Deanna (and Leonard) Hart of Stafford, Va.; six grandchildren; two great-grandchildren; and two brothers, James Henry Handke of Colorado and Robert Lester Handke of San Jose. She was a member of St. Luke’s Lutheran Church of rural San Jose, a past member of the Martha Mary Ladies Aid and a past member of Mason County Pork Producers. Memorials may be made to Hospice of Illinois, St. Luke’s Lutheran Church, AIDS research, American Cancer Society or Alzheimer’s research.